Fiona Tan, Nellie (detail), 2013, still from the 3-minute 9-second color HD video component of a mixed-media installation additionally comprising framed cloth. Nicknames, for the most part, arise from familiarity, even intimacy. 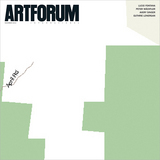 As such, the pet name “Nellie,” which gives the title to a 2013 video by Fiona Tan, is a wry foil to the work’s flaxen-haired cipher of a subject. 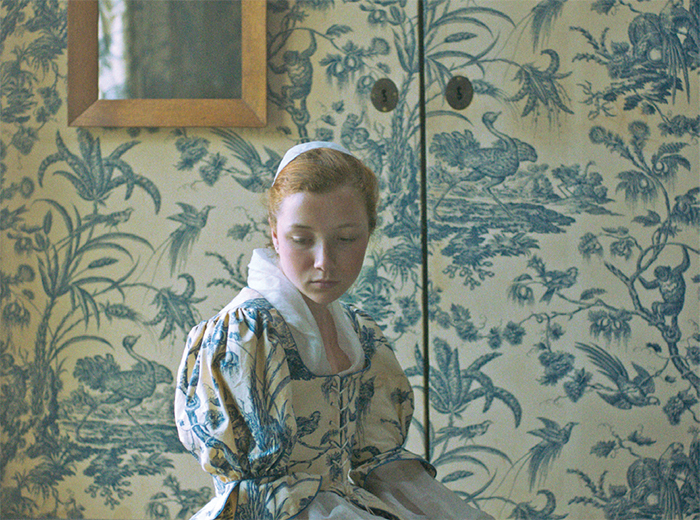 Loosely based on Rembrandt’s illegitimate daughter Cornelia van Rijn, Tan’s preteen protagonist remains unknowable throughout the video, her inner life anyone’s best guess, as she poses her way through a sequence of successive indoor vignettes, pale-skinned and beatific, her gown a blue-and-white patterned chintz. She moves languidly and sparingly: a model in a tableau vivant, almost, but one unable to hide her ennui. There’s Nellie in bed, Nellie slumped on a writing desk, Nellie pacing across a wooden floor. One moment, she’s seated against the wainscoting of a water-stained wall, her undone hair brushed into a volumetric frizz; in the next, she’s listlessly supine.